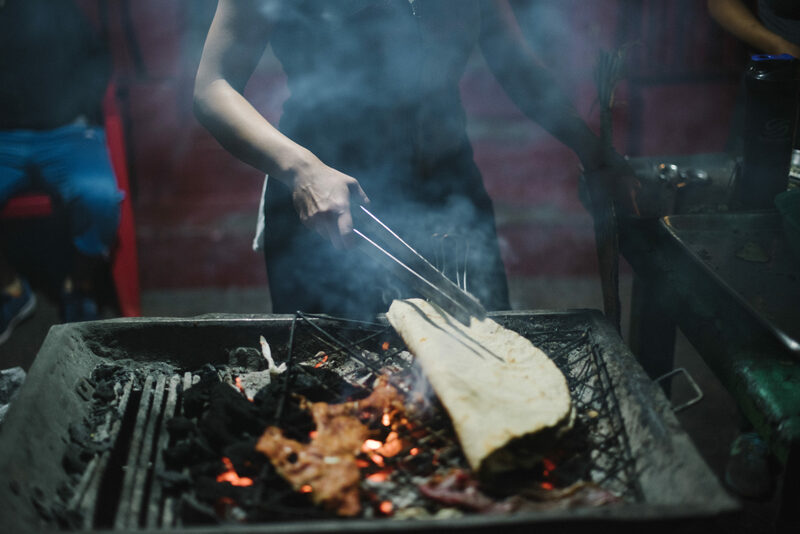 The thinly-sliced fresh meats you picked are immediately sizzling over hot charcoal grills, filling the Oaxaca City market with a delicious smokey haze that’s pierced by the cheerful notes of a nearby xylophone. In a blink, it’s delivered in a traditional woven basket, with string cheese, salsa and fresh tortillas that burst with pure flavor of local corn. This is lunch, Oaxaca-style. And it’s perfect. 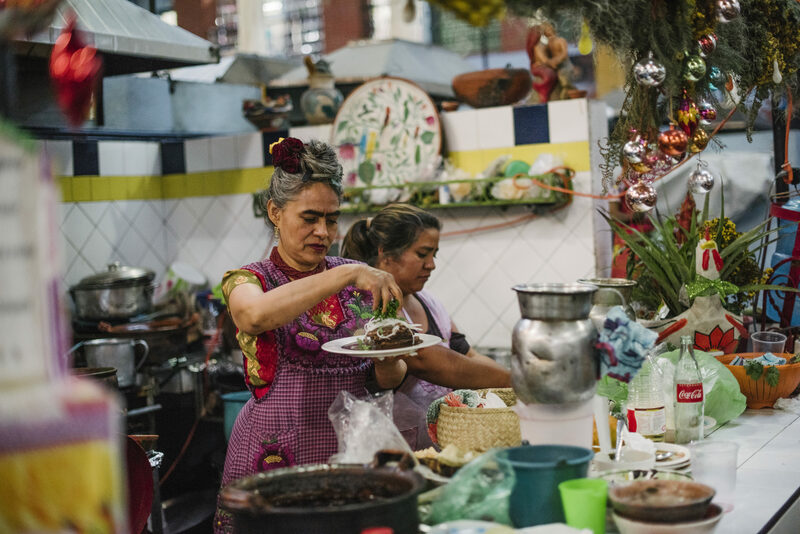 The next day you’re in the Mixtec Mountains, on a behind-the-scenes visit of a celebrated artist’s home studio – then joining them for a sumptuous home-cooked mole. 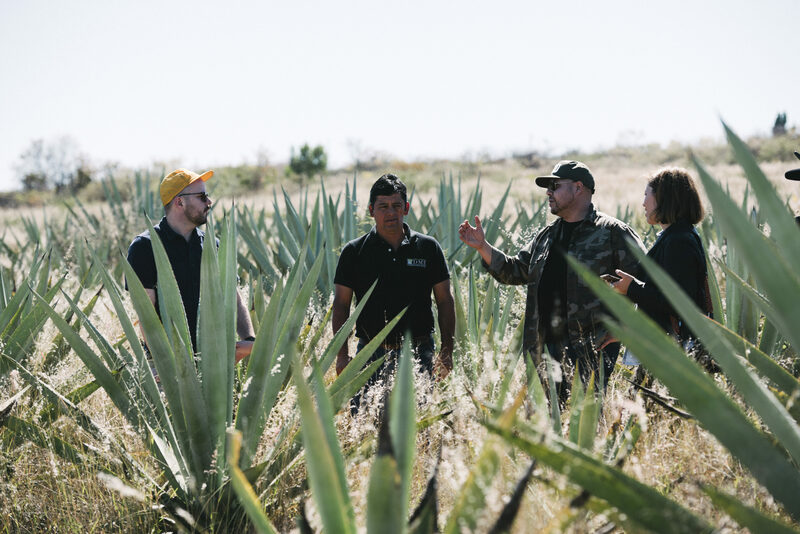 A day later, you’re standing atop a grand Zapotec pyramid overlooking a sprawling ruined city glowing in sunlight, then meeting a fourth-generation mezcalero, who demonstrates the artisanal methods of creating the famed spirit. This is Mexico at is most intimate – packed with culture, personal connection, and more flavors than you can imagine. Joining you is James Beard Award–winning chef Joshua McFadden. His passion for seasonal cooking – as shared in his book Six Seasons: A New Way with Vegetables – merges with his wonder for picking up new ideas, ingredients, flavors – from everywhere he goes. And Oaxaca is one of his very favorites. We love traveling with Joshua because he’s fun, full of joy and – let’s be honest – the man knows how to cook. We can’t wait for the full-blown feast of hand-picked local ingredients Joshua will cook for us on this trip. If you dream of a vacation that lives on in memories and lessons learned, Oaxaca with Modern Adventure is for you. There’s mountains, mole sauce, hip mezcalerias and Mexico’s finest dining in a colonial city that lives low-key. 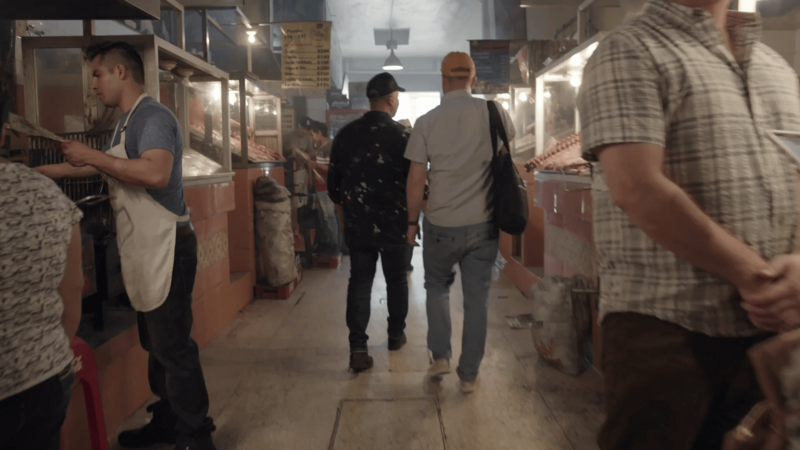 By the end, you’ll never see Mexico, traditional textiles, a taco, a crunchy tlayuda, a handful of roasted grasshopper chapulines – or even yourself – the same way again. Join us in Mexico’s unforgettable Oaxaca! Traditional Oaxaca cuisine: rich mole sauces, spiced chocolate, street tacos, toasted chapulines (grasshoppers). The timeless color and culture of local art, meeting traditional weavers and sculptors in mountain villages. 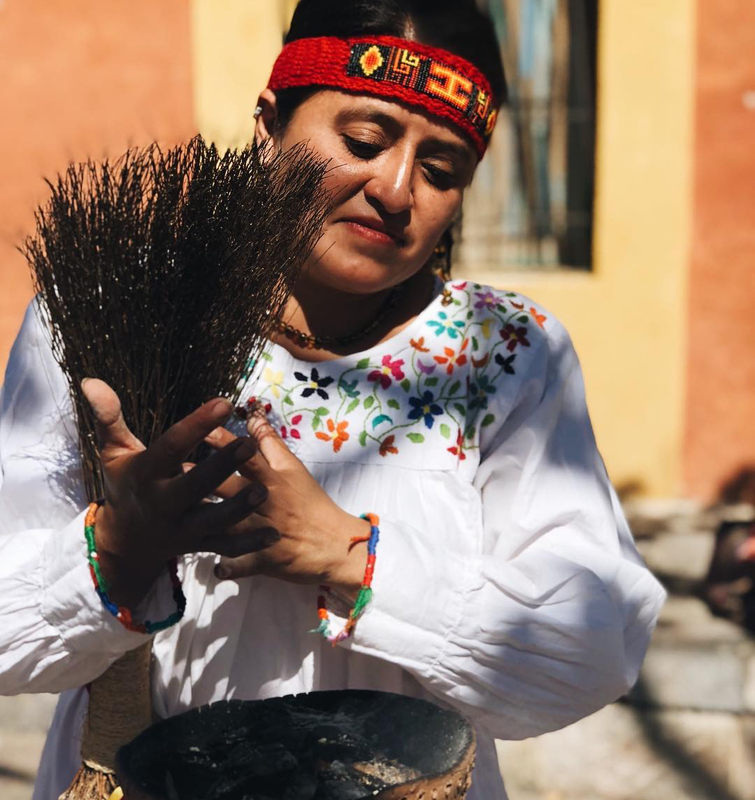 Oaxaca’s connection to tradition and the earth, evident in art, food and shaman rituals we’ll experience first-hand. Portland’s hottest restaurateur wanted to be a film director, but fell in love with the story of food along the way. 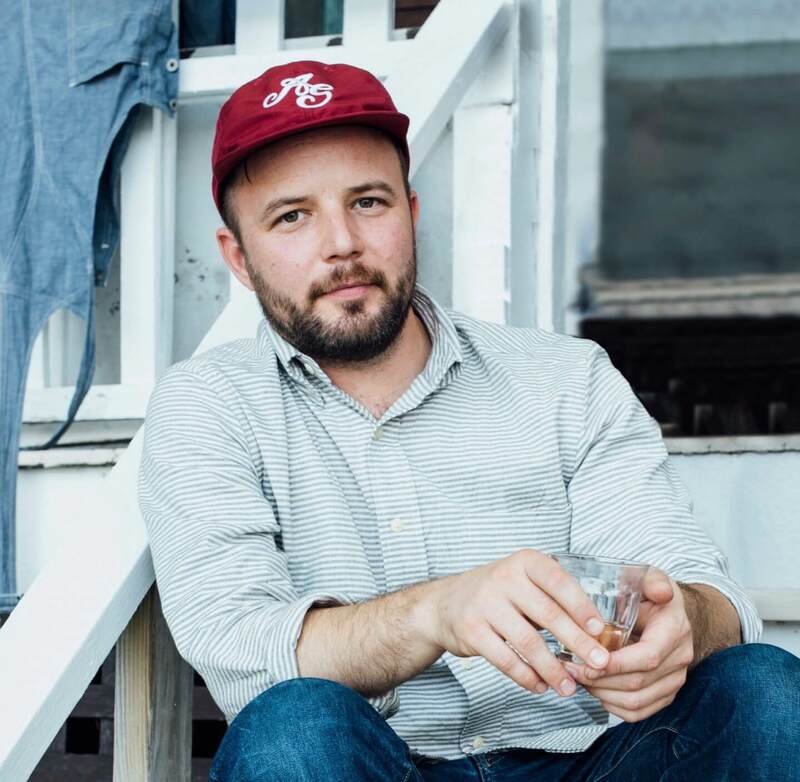 He's worked on a farm in Maine, which seeded his love and passion for the seasonality of produce. His book, Six Seasons: A New Way With Vegetables won him a James Beard Award, and his Portland restaurants (Ava Gene’s, Tusk, plus two new ones - Mexican-themed La Neta, and the mezcal rooftop bar Tope) rank among the very finest on the West Coast. Oaxaca to Joshua is about having fun but also discovery and learning. "It's the place I want to go to the most right now." Joshua says his time working on a Maine farm changed his life. And it led to his James Beard Award–winning book, a thoughtful lesson in the seasonality of produce. Now he's bought a farm in Oregon. Joshua learns as he travels, and shares what he learns. So he's the ideal travel companion: sharing the take-aways from people, shops, dishes, ingredients he sees. There is no place he's more interested in visiting than Mexico. He's using his two Mexican restaurants to showcase new spins on traditions not often seen in the US. Brace yourself for a tlayuda boom! 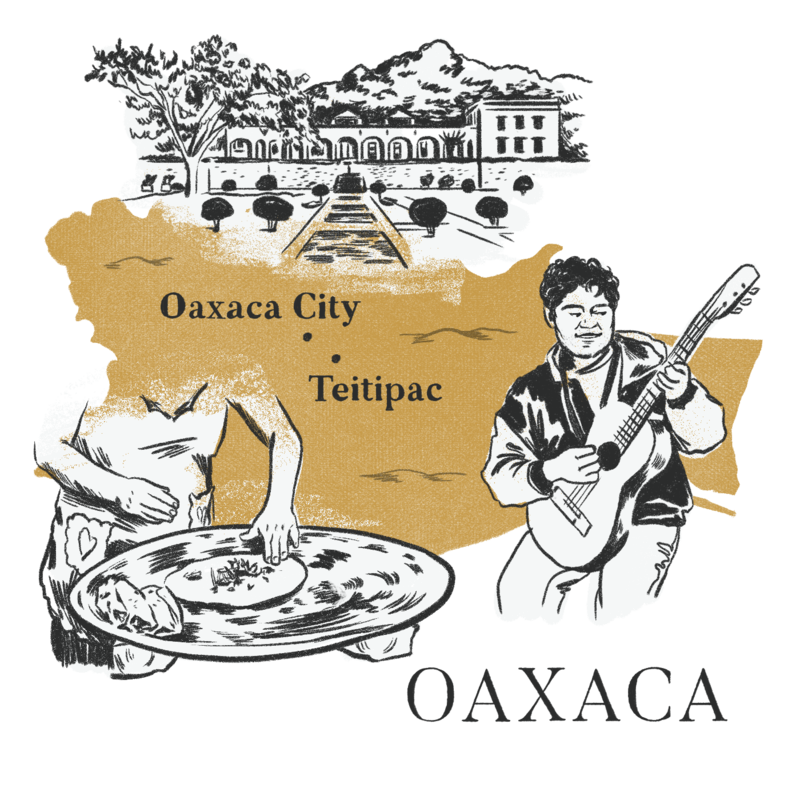 Oaxaca packs in so much of the complex, fascinating culture of Mexico. We’ll experience it all – at artist studios, ancient ruins, local markets, street-food stands, hacienda hotels. Bienvenidos! Welcome! We’ll meet up with Joshua and get oriented with one of Latin America’s great colonial wonders – Oaxaca City. We’ll walk through the cobblestone streets and snack through its central markets, a feast of the senses where tasajo (dried meats) hang, open fires grill delicious tlayudas (toasted tortillas topped, pizza-style, with Oaxacan string cheese and thin-grilled meats), and vendors scurry past offering chapulines (roasted grasshoppers) and pastry-like pan de yema stacked in woven baskets. Yummy (even those grasshoppers, we promise). In the evening, we’ll toast the start of our adventure with local mezcal – of course – then have terrace seats overlooking Oaxaca’s flood-lit cathedral domes at Casa Oaxaca, a colonial-style restaurant that merges Oaxaca’s ancient, intricate flavors with Mediterranean herbs – with supreme results. Oaxaca’s sense of art is vibrant, ageless – and everywhere. Today we go to its source, artist home-studios in nearby mountain villages. 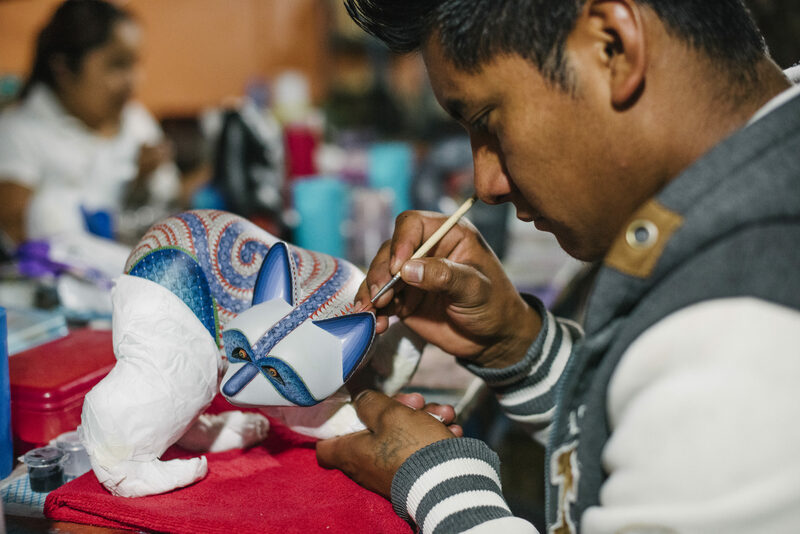 First we’ll drive into the Mixtec Mountains and meet local ceramicist Manuel Reyes, who’ll show how he uses local clay and natural fibers for his signature figurines (not sold in town). Then he and his artist wife will sit with us for a home-cooked meal of red mole, black beans, tortillas and mezcal. Next we visit Enrique Flores’ studio. His richly colored ’magical realist’ paintings evoke dreamy folk traditions, and have been seen in US galleries (and even a beer ad). Afterwards we return to the city, where you’ll have the evening to explore Oaxaca’s irresistible food and night life: world-class restaurants open for dinner and taco stands set up along the lit-up zocalo, just a few blocks from our hotel. Who’s ready for pyramids and mezcal? First we begin this epic day with a morning to build a hefty thirst. The hilltop ruin of Monte Albán dates from 500 BC, a vast complex of pyramids, a palace, shrines – easily one of Mesoamerica’s grandest sites. We explore its monumental scale – and the intricate carvings of bas relief sculptures. 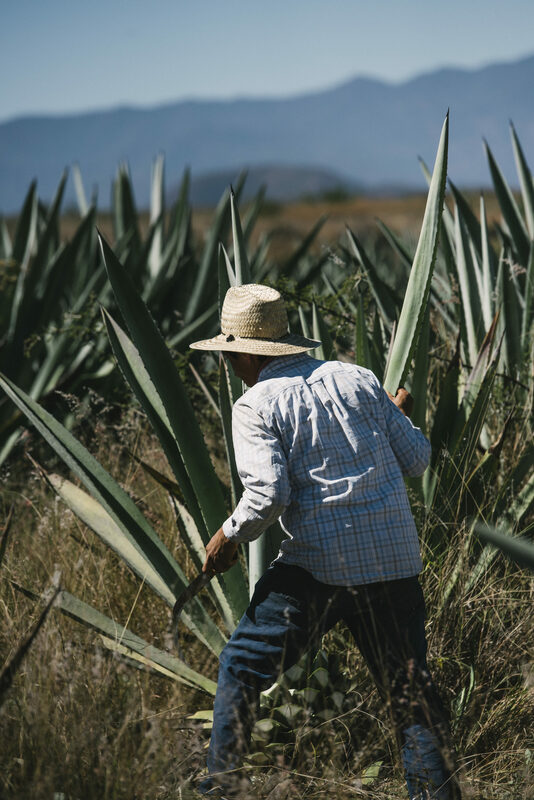 Then we reward ourselves, with a quick drive by rows of agave plants in the mountain valleys, to meet up with a fourth-generation mezcalero at the village of Santa Catarina Minas. Agave is everywhere here. 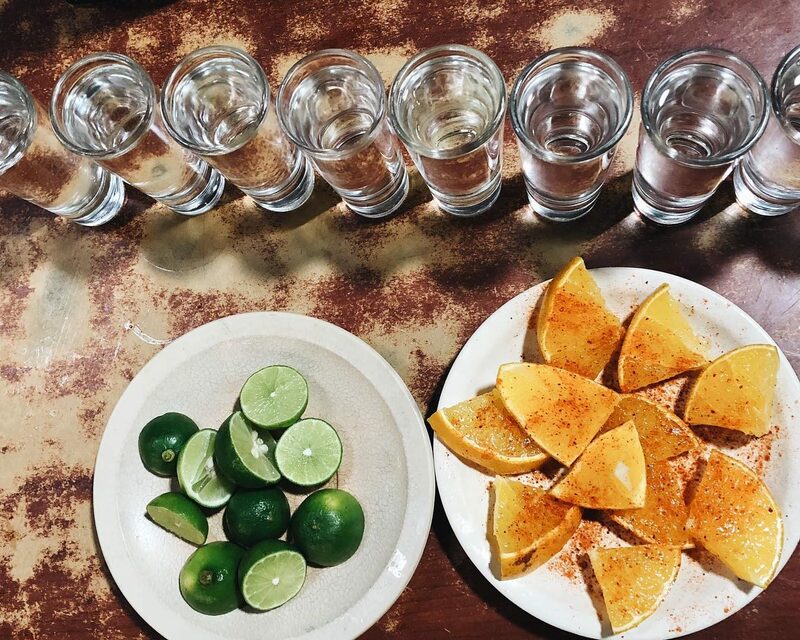 We’ll have lunch, and learn how these passed-down, timeless techniques turn agave hearts into the smoky cousin-spirit of tequila – one of Oaxaca’s famed exports. 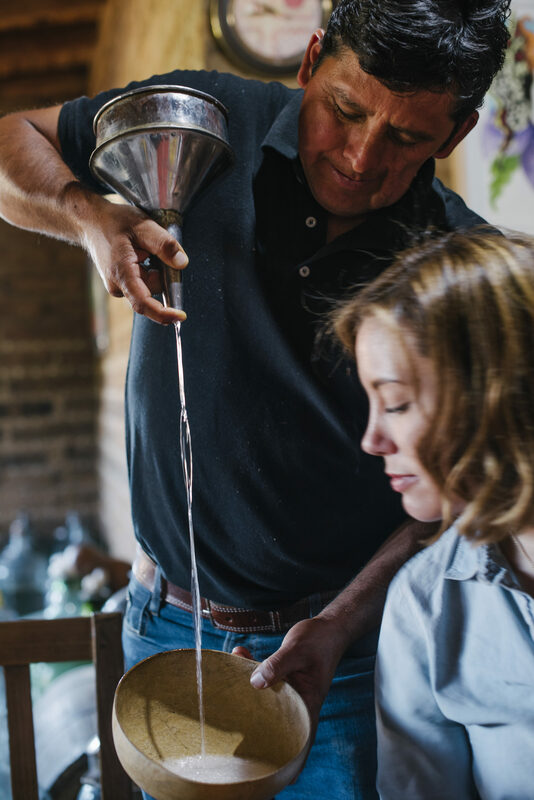 After a tasting, or two, of the artisanal mezcal on hand, we’ll return to Oaxaca, where the night is yours to track down an unforgettable meal, craft beer bars or – why not? – more mezcal. Today we pack for our country retreat in the mountains, where villages devoted to arts and crafts lurk in valley shadows. We’ll stop at the Zapotec village of Teotitlan del Valle, a weaving village with about 5,000 people (and 2,000 looms). 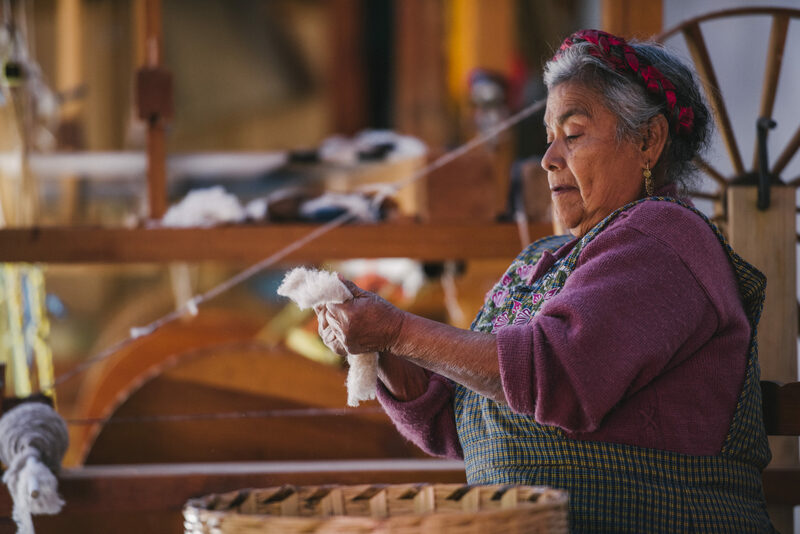 We’ll meet weavers of a local collective, who’ll demonstrate their intricate craft using natural fibers for dyes (and even a grounded insect for the bright reds), just as they have for generations. Then we’ll drop by a home to learn to make some local recipes and have lunch with a Zapotec family (try to say xtiuzu’u instead of gracias). In the afternoon, we reach our luxury retreat, huddled in its own corner of the Sierra Madre del Sur highlands. Laze with a drink in the shaded courtyards, take a dip in one of two pools. 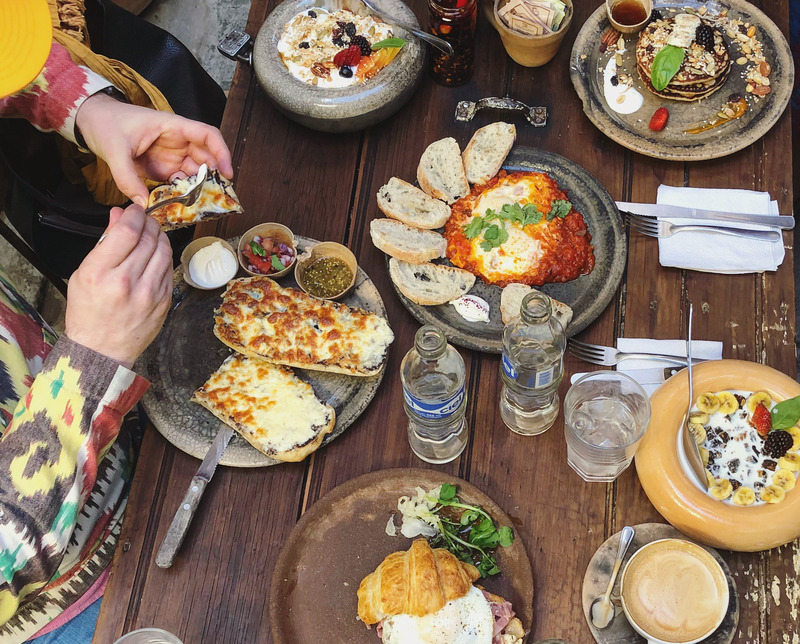 A big meal, with live music and more drinks, awaits, as Joshua is preparing a banquet meal with ingredients sourced from local organic farms and producers. Unforgettable. All of our Oaxaca exploits leads to this – a day of pampering and relaxation in our wonderful home, a 300-year-old hacienda that feels like a private home in the mountains. How do you want to explore? The hacienda can arrange hiking, bike riding or horseback riding across the neighboring mountain vistas – or you can kick back by the pool or indulge in the on-site spa. After a relaxing morning, we meet up in the afternoon for an up-close-and-personal meeting with a local shaman, who’ll share the secrets of a cleansing ritual that’s been in practice here for thousands of years, using smoked copal to bid farewell to negative energies. We’ll leave feeling electric and magical, and toast the results at our huge final dinner as the stars twinkle in the clear Oaxaca night sky. All great things come to an end, alas. We’ll have a big farewell breakfast at the hacienda – hot chocolate (not too sweet, not too rich), hand-patted just-made tortillas, huevos rancheros blanketed in a richly flavorful mole… Then we’ll bid farewell to Joshua and to Oaxaca, and pack our things for a short drive back to Oaxaca City for wherever your journey next takes you. Buen viaje! A peaceful oasis in Oaxaca City, a historic hacienda gone chic in a private valley of mountains – our accommodations are small-scale and boutique, the ideal ways to get acquainted with Oaxaca life. 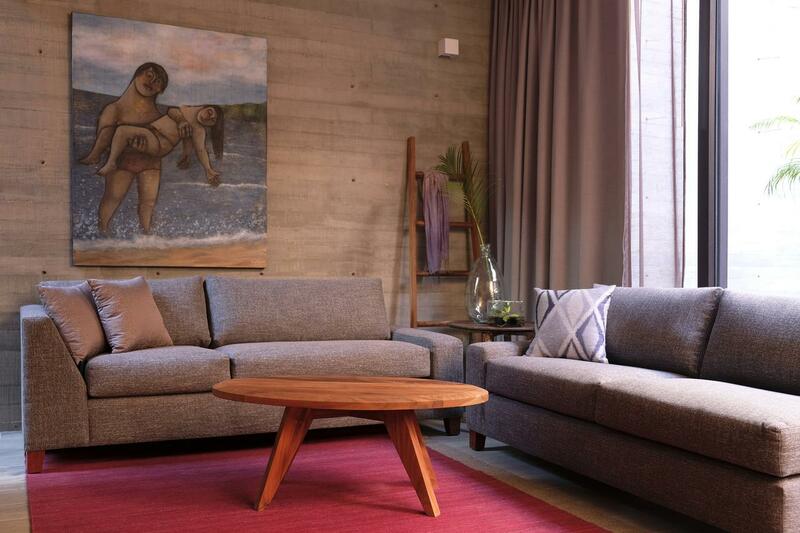 Off a central side street, a few blocks from the zocalo and central shops and eateries, a street gate opens into a breathtaking oasis that’s our Oaxaca City home: a boutique hotel with a dozen spacious rooms blending the city’s distinctive styles. Serenity reigns in its thoughtful garden spaces, with palm trees, covered walkways and an outdoor patio bar. 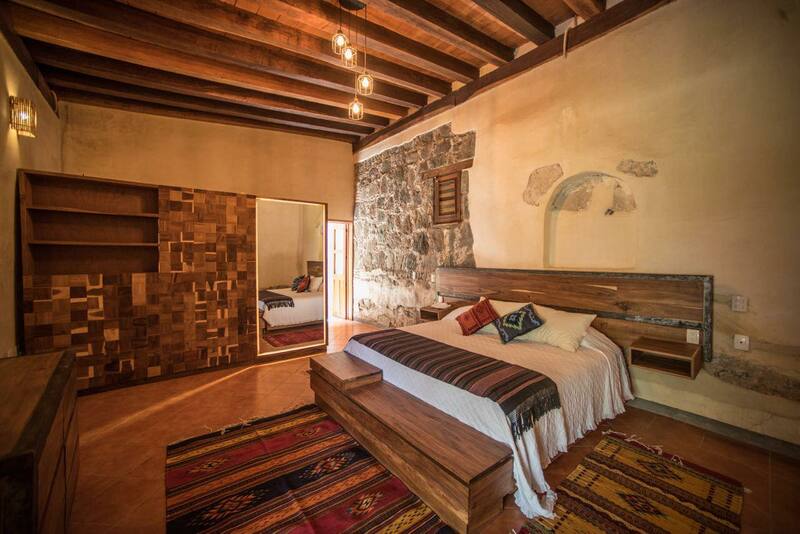 A 300-year-old hacienda tucked away in the mountains, just 45 minutes’ drive south of Oaxaca City. Mountains press on the cacti-filled premises, where arched walkways look in toward an open, interior courtyard and bell tower. Each of the 16 rooms has been lovingly restored in a mix of traditional and contemporary designs. There are two pools (one inside, one out) and an on-site spa, plus hiking, horseback riding and biking options. The hacienda is relaxing and private, the ideal place to soak in the golden dusk with a cocktail. Five nights at unique four-star accommodations; private travel for all day trips and excursions; departure airport transfer; private tours with local guides and cultural experts; exclusive VIP access and tastings; guided activities, adventures and expeditions; entrance fees; daily breakfasts, most lunches and dinners; local beverages with meals; gratuities for local staff. We recommend you arrive at the Oaxaca International Airport (OAX) in Oaxaca, Mexico on or before March 24, 2019. We’ll meet as a group at 1pm on Monday March 25, 2019. Our last day of this adventure is March 30, 2019. You should schedule flights home after 1pm from Oaxaca International Airport. This trip is led by an expert Modern Adventure Trip Leader. They are an experienced travel guide, a representative of Modern Adventure and the person to go to with questions or concerns on the trip. We’ll be joined throughout our adventure by local, expert guides who are deeply knowledgeable with respect to local cultures, customs and history and are passionate about sharing that with us. We’ll also be joined by special guest Joshua McFadden. Yes, there is a $800 supplement for solo travelers, to be paid at the time of booking to secure a private room during the adventure. If you would like Modern Adventure to pair you with a roommate, that option may be available upon checkout – these spots are limited and available on a first-come, first-serve basis (See our Terms and Conditions for full details). US citizens are not required to have a visa for tourist visits to Mexico, but are required to show a valid US passport. It is recommended that your passport is valid for six months after your travels are over. On arrival in the airport, you will be issued a visitor’s permit, known as a FMM (Forma Migratoria Multiple). For citizens of other countries, please check with the Mexico Embassy or Consulate for information and requirements. You may cancel on or before December 19, 2018 and receive a full refund minus a $500 per-person service fee. If you cancel between December 20 and January 23, 2019 there is a 50% cancellation fee. On or after January 24, 2019 there is a 100% cancellation fee. We highly recommend purchasing travel insurance as we are not able to make exceptions to this policy in cases family/medical emergency or cases of the trip being cancelled (See our Terms and Conditions for full details).